Clip it. 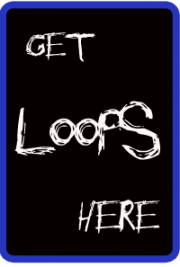 Loop it. Mix it. Drop it. 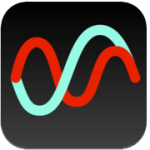 Musaico is the most streamlined interface for recording and remixing music. Record, loop, layer, and remix sounds in real time, from layering guitar parts to looping rap beats. Designed and optimized as a universal app for the iPad and iPhone/iPod Touch platforms, you can record your musical ideas quickly and intuitively from anywhere. Musaico features a new compositional paradigm consisting of integrated loop-based and timeline-based approaches. First, quickly record or import sound material, organize it, and loop it. Experiment with sounds by instantly triggering clips that will automatically play in time together. Then, drag clips into the timeline to create compositions with multitracker precision and control. Export those compositions back into loops and continue to refine your ideas in real time! When running on the iPhone, Musaico offers all of the features as for the iPad, except for the timeline features. – Enter Live Mode by tapping the Production/Live switch. Your clips and groups will become arranged into a grid of large buttons. – Clips will begin playing the moment your finger touches the screen. Stop playing or adjust loop settings with the control buttons. Adjust volume for each clip with the volume indicator control. – Move clips around in the grid by tapping the Lock/Unlock switch, then dragging the clips around. – For a higher degree of control, switch back to Production mode, tap the upper left button on a clip or group, the Edit Quantization to OFF, 1/8, 1/4, or 4/4. Now while in Live Mode, the clip will trigger immediately (OFF), or exactly on the half beat (1/8), full beat (1/4), or each 4th beat (4/4). Now you can edit a clip by tapping on the upper left hand corner of each clip to edit, duplicate, set quantization or delete the clip.